I try to, even if it costs me millions of dollars and takes a long time. It’s very unusual in Hollywood. Few people are trustworthy – a handshake means nothing to them. They feel they’re required to keep an agreement with you only if you’re successful or they need you. I’ve tried not to get sucked into the Hollywood hierarchy system. I don’t like it when people are deferential to me because I’m an established film-maker. Take the risks that are worth taking. Film-making isn’t life or death. No director died making movies. With the expeditions I do, however, mess that up and you’re dead. I think there are a lot of people in the movie industry who reach a line that they won’t cross because they feel it is life or death for their careers. Every film-maker takes huge risks. There are risks where, if you fail, your career is over, and there are risks where, if you fail, you are dead. In a crisis rely on your experience. Exploration is a controlled risk. You try to anticipate everything – you plan the dive and dive the plan. But there’s going to come a point in time when it’s all out of the window. That’s the moment you have to rely on experience. The best explorers, leaders and planners are the ones who can operate in that environment and have the confidence and the leadership skills to get everybody else to keep calm. It’s not just about meticulous planning, but real-time decision-making and judgment calls, too. Always remember that luck is not a factor. Don’t hope that something will work; you have to plan it and test it. When I’m filming at sea I’ll write slogans on the white board like ‘Hope is not a strategy.’ It is only through absolute respect for the ocean that you can accomplish anything, whether it’s diving or working with ships at the surface. The ocean is a very hostile environment, but it is capable of giving you incredible gifts if you are patient and disciplined. Not only do you have to earn my respect, but I have to earn yours. It’s a two-way process. I think I have a reputation as a terrifying leader, and there was a time when I was a real nightmare, 25 or 30 years ago. I was working on low-budget movies that had to be made in a ridiculously short period of time and there was no room for any mistakes. It didn’t matter if I ever saw those people again after the end of that shoot. But in recent years I’ve learned that it’s important to have relationships with team members. Learn from the past. You’re only as good as the people next to you. 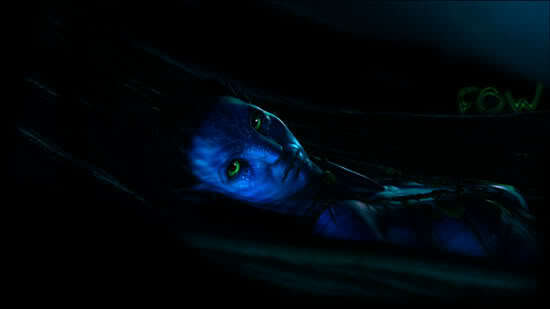 (Avatar star) Sam Worthington and I inspired each other because he is utterly and completely dedicated. He leads a very simple life: snowboarding, surfing and acting are his entire focus. So when we are on set we’re just there to create something, and we challenge each other to be the best that we can be on that day – and when we walk out at the end of the day we know that there’s no better version that we missed. Don’t assume that you’re brilliant. I don’t make this mistake, but I do make the assumption that I’m going to work harder than other guys. Maybe I’m willing to take bigger risks, because I have it all in perspective. I know film-makers who think they are brilliant, and that’s unhealthy. They’re quite tedious. If you’re bored, you’re in the wrong job. I’m like the guy in the prison camp who could build his house in his head brick by brick. I could sit in an empty room and not be bored. I am either absorbing or processing. I’m thinking about stuff I have seen or read and making my own conclusions. You need to know what the people you’re working with are feeling. It’s about being able to sit with the other person and view a situation from another perspective. I may have a bad moment when I pop off at somebody. But then I have to think how I would feel if somebody said that to me, and so I’ll apologise. Decide if work-life sacrifices are worth it. I’ve put my film-making above all other things but it’s come at a price. I have five kids and I’ve spent a lot more time with my younger three than with my older two. There were times when I wasn’t around for my 18-year-old daughter when I should’ve been. But that’s not the case now. I think I have a better balance. I feel a great sense of peace as a parent. But there’s a double-edged sword to parenting, which is that you care so much for your children that you’re never 100 per cent relaxed. You’ve got to have big challenges. Yeah that is some interesting stuff. Some cool insights into JC's values and things he has learned. Good post, it's always nice to get a little into the mind of JC, what makes him is also what makes his movies. Glad to hear of someone in Hollywood that still has a decent head about them. woo! going to see machine head! Great article -- always like to hear more about James Cameron.